Bangalore side has Gayle, Kohli, and de Villers who are capable of doing explosives batting. Now, in this year’s auction, Shane Watson also became a part of the squad. Thus, the team has one of the strongest batting line-ups in the competition. However, they haven’t won any of the titles yet and have made into the final four times already. RCB is with batting lineup on cards, but weak on the bowling end as Mitchell Stark has withdrawn himself due to an injury. Now, they don’t have a leading wicket taker and frontline pacer. Adam Milne is there, but it’s not likely that he will be employed in the presence of Samuel Badree who did a commendable job in the World T20. On the other hand, Sunrisers Hyderabad has a balanced sum of batsmen and bowlers. They appear to be balanced with good quality batsmen and bowlers with them. All of them can perform well in the T20 matches. Speaking of the bowlers, then Nehra, Boult, Kumar, and Sharma will be lead their bowling lineup as their main bowlers. Coming to the batting side, Warner, Dhawan, Morgan, and Singh are capable of scoring and making a big score. The opposition will need to think seriously about them. The pitch at C Stadium is known to support batsmen as it has an excellent batting track as well as the ground is small as compared to standard size fields. So, it highly appears that it will result in a high scoring match. Fans may get a dual treat as one hand; there is Gayle while on the other hand, there is Warner. 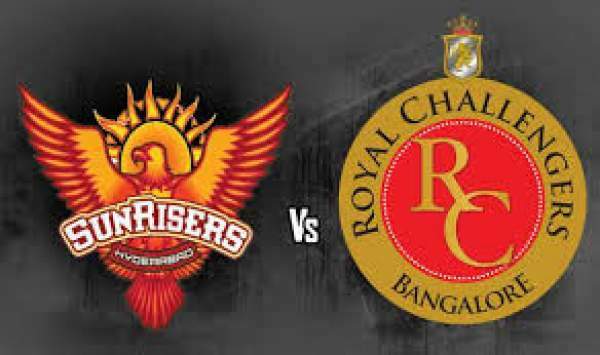 RCB vs SRH live stream IPL T20 will start at 8 pm IST/3:30 pm GMT. Star Sports 1 and Star Sports 3 will telecast the IPL T20 match in India with an option to live stream it on starsports.com and hotstar. For the people of the UK, Sky Sports 3 and Sky Sports 3 HD will broadcast it on TV while; it can be streamed live on Watch Sky Sports.